We had such an amazing response to our last article where we gave you fine readers a FREE salon Spotify Christmas playlist. We also received a couple of requests for salon blog topics. One that was reoccurring was some salon decoration ideas for Christmas. So, being the noble, diligent artisans that we are, we decided to put together a Slideshare full of salon decoration ideas that will WOW your clients when they come in for their Christmas appointment! And there you have it! 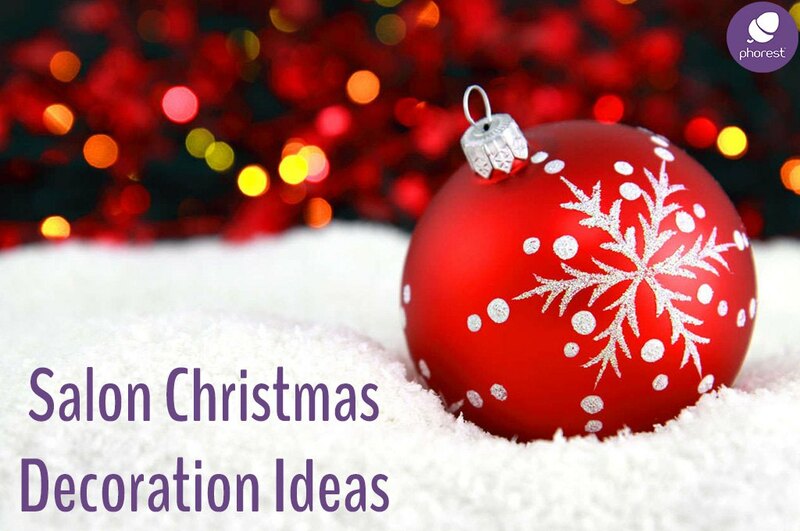 A wide variety of salon decoration ideas that will help you celebrate the holiday season with your clients. myself! And I also think that the ‘Mistle Toe’ nail set isn’t just a fabulous decoration, but a really fun way to see more retail. Maybe consider putting it together with a Stocking Filler set. We tried to go with a nice, even mix of extravagant salon decorations and some more subtle, practical ones as well. In the end, I don’t believe you really have to go ‘all out’ and cover your salon head-to-toe with Christmas spirit. But embracing the holiday spirit just a little might be a nice, warm welcome to your clients who are most likely coming in for their December appointment right before their Christmas parties! Oh and if you’d like some help getting those clients to book their Christmas appointment with you, then how about trying one of these Christmas SMS ideas out. Hope it helps & have a nice holiday season!